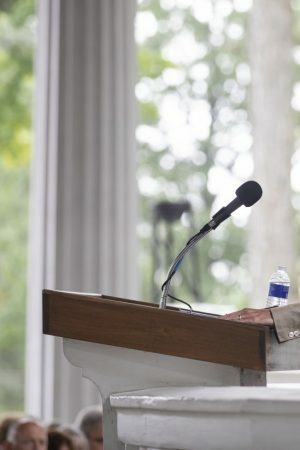 “Unless you educate the young people, you will not succeed,” said featured speaker Eboo Patel to representatives of Chautauqua Institution at The Ismaili Centre in London in fall 2005. 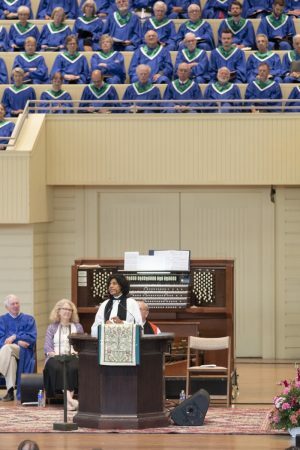 Patel lauded Chautauqua Institution for its dedication to promoting interfaith education and teaching about the relationships found within the Abrahamic tradition and particularly about Islam. The Most Rev. 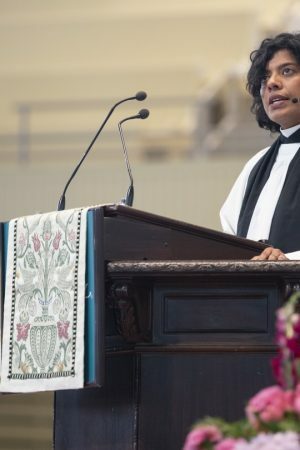 Katharine Jefferts Schori, Presiding Bishop and Primate of the Episcopal Church in the United States, will preach at the 10:45 a.m. Sunday worship service. 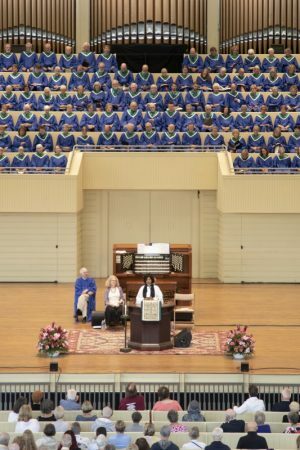 Jefferts Schori will also speak on her faith journey at the 5 p.m. Sunday Vespers Service at the Hall of Philosophy. 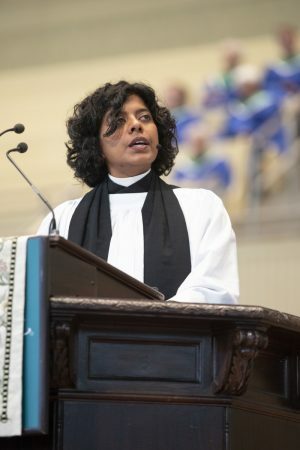 Her sermon title is “Applied Ethics: Government and the Search for the Common Good.” Her text is Deuteronomy 10:17–21. 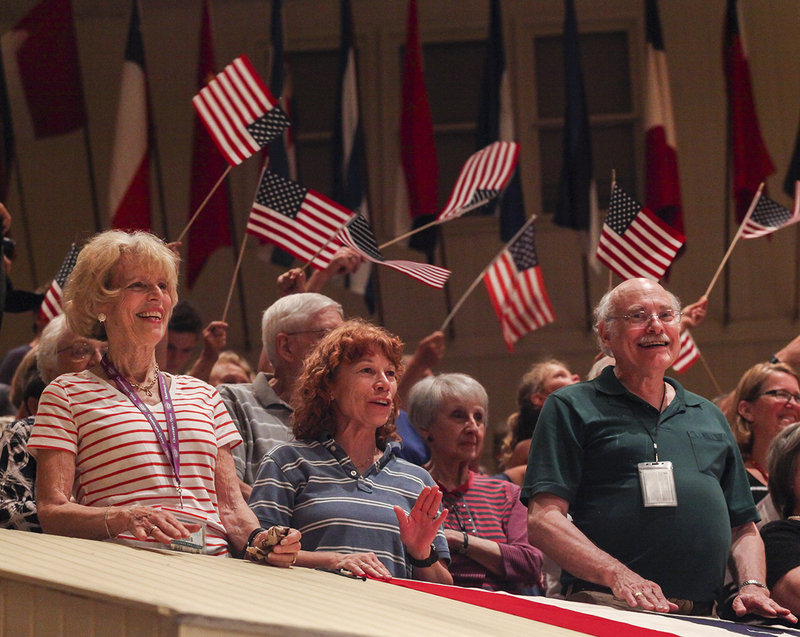 A slideshow of photos by Daily photographer Megan Tan, taken as the Rev. Alastair Symington, senior minister at Troon Old Parish Church in Scotland, prepares for Chautauqua's first Sunday morning sermon. When you think of being chaplain to the Queen of England, you don’t normally expect a person who also has a hand in everyday ministry to a young man convicted of armed robbery, but the Rev. Alastair Symington has kept a presence in parish work while carrying a title that only 32 other people hold. 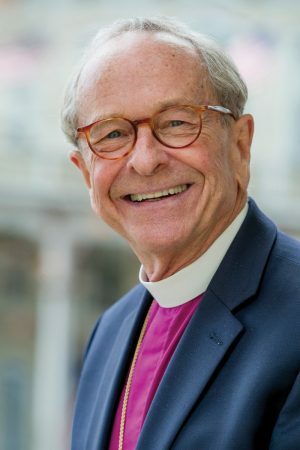 Symington will be the chaplain for the first week of the 2011 Season at Chautauqua. He will preach at the opening worship service at 10:45 Sunday morning. Now in its 11th season, the Mystic Heart Program continues to offer opportunities for meditation, led by Subagh Singh Khalsa and other returning Chautauquans. Throughout the summer, Mystic Heart Program participants will experience Sikhism, Islam, Sufism, Judaism, Kabbalah, Kundalini Yoga, Zen Buddhism and Christian methods of meditation.